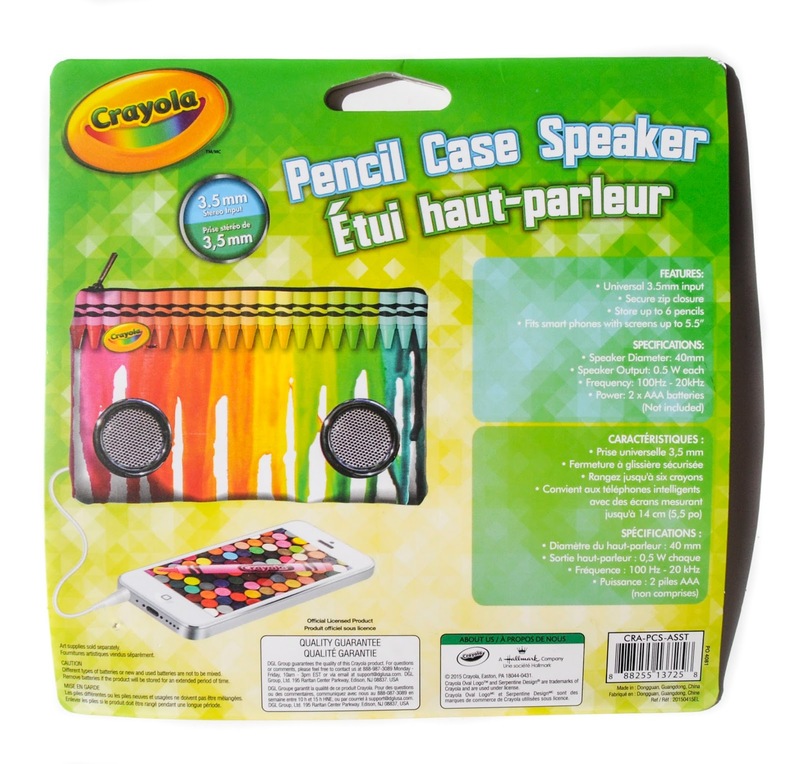 Did you know that Crayola makes pencil case speakers? Neither did I until one of my friends sent me this Pencil Case Speaker. It comes with a pencil pouch with a speaker inside. There is a Universal 3.5mm output to attach the phone to. My daughter can not wait to use this. 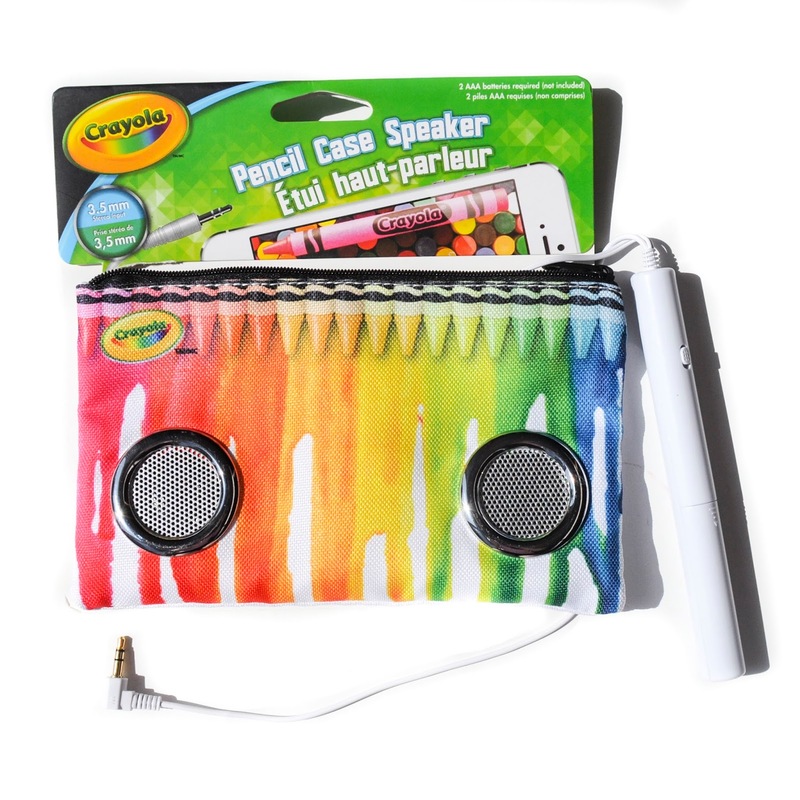 Other related items: There are two other pencil case speaker designs I have seen.